It''s time to bring on the night with moonlit colours, for Fall 2017. CND introduces this dark, sultry and full of drama Nail Polish Collection - inspired by a ''Ïdark and seductive edge''. "Lilac Eclipse" is a warm lilac crÌ©me. Available in both Vinylux and Shellac Nail Polish. 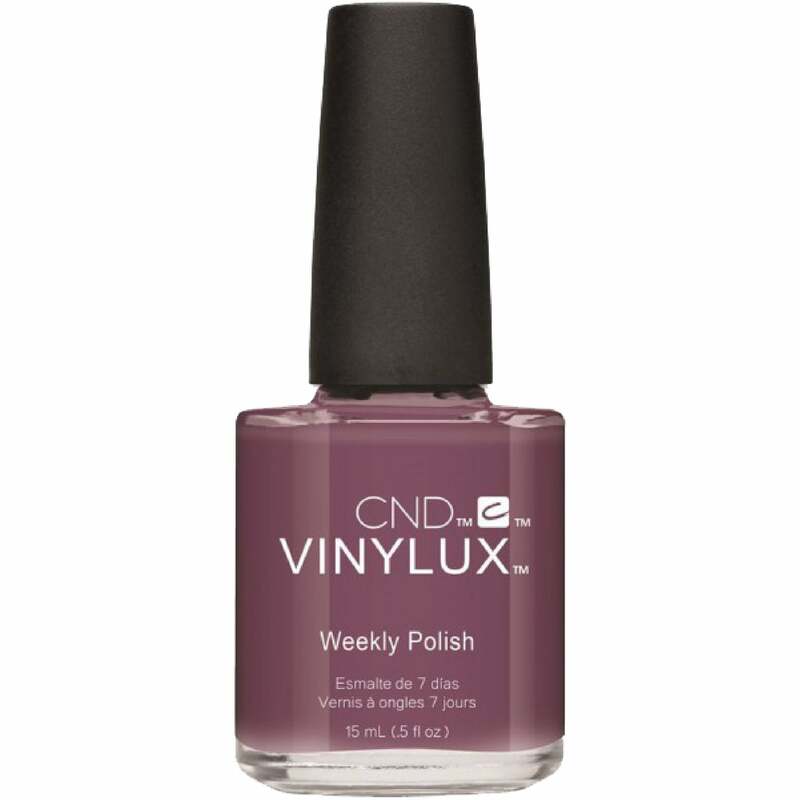 Vinylux Weekly Polish delivers week long wear. Applies & removes like normal polish. With an aim of being valued globally by the Beauty Professional and their clients as the resource for innovative and reliable nail products and services. CND have developed professional products and services since 1979. CND have been pursuing their goal with unwavering commitment for over thirty years, and they''ve been proud to have revolutionized the nail industry in the process. Each of their products is meticulously researched and tested before it ever reaches the customer. They have their own state-of-the-art laboratory and the scientific and technological know-how to engineer the exact products that professionals want and need. Once these products and services are in their hands,'ÊCND'Êcontinues to offer support, education, and inspiration. Having tried so many different makes of nail varnishes over the years, I have found the perfect one! Long lasting, fabulous coverage and beautiful colours! Vinylux is the best and Lilac Eclipse is now one of my favourite shades along with Crushed Rose, Eternal Midnight, Tinted Love etc... I love them all! Highly recommended!